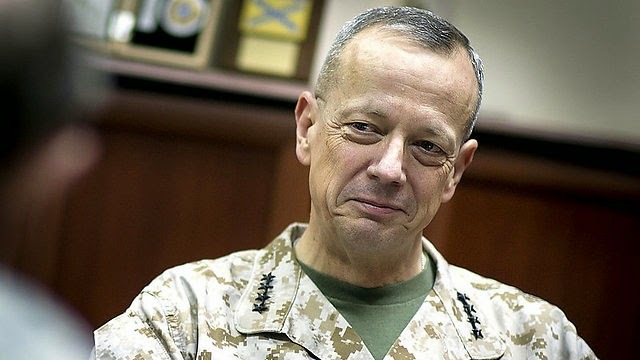 U.S. State Department said on Wednesday that retired Marine Gen. John Allen, who is coordinating the international coalition efforts against the Islamic State, was en route to the region to engage Sunni tribal leaders in the fight. The Washington Times, quoting unnamed sources, reports that the plan is to recreate the “Sunni Awakening” that saw Iraqi tribal leaders take the fight to Islamic State predecessor group, Al-Qaeda in Iraq (AQI), between 2005 and 2007. Gen. Allen helped organize the Awakening uprising while serving in Anbar at the time. Meanwhile on Syria, Gen. Allen told CNN that it will take years to train moderate Syrian rebel forces to fight effectively against the Islamic State. Very good strategy and I hope the strategy beats ISIS. The vast land in Western Iraq and Eastern Syria cannot be monitored and guarded by regular troops, people need to be involved and this is the way to go! There was quite a lot of "tribute" money paid by USG to the Sunni tribes last time to bring about the so-called "Awakening." Interesting to see if tribute is provided this time around, as well.